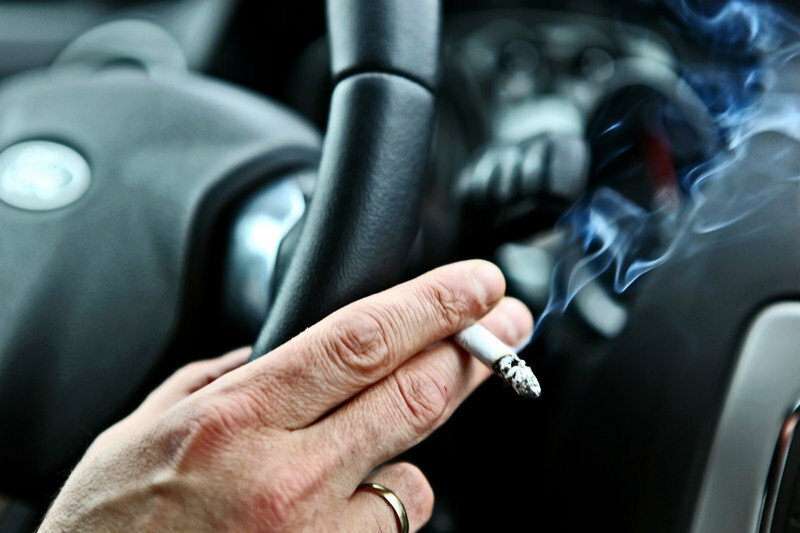 How does cigarette smoking affect the interior of your car?. Smokers tend to light up whenever and wherever they have the chance. Since smoking restrictions make it illegal to smoke in most public spaces, many people find their own car to be the best place to puff away. However, few people stop to think of the impact cigarette smoking can have on the interior of your vehicle. You may not notice it immediately, but after time, several problems can develop. One of the most obvious danger is that of burning various parts of the interior such as the seats, carpets, and even panels. If you drop your cigarette while driving, it will take time for you to pull over and find the burning ember. By this time, you could have burned or melted a significant portion of your beautiful interior. Unfortunately, in most cases, burns usually require the seat to be recovered, the carpet to be replaced, or new panels to be fitted. The color of your vehicle’s interior will also be affected by the cigarette smoke. After a time, the interior becomes stained or dull. 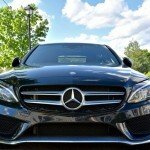 You might even notice a yellowish tinge to the hood lining of your vehicle. This is common as the smoke rises from your cigarette and trails along the interior of the roof before eventually leaving the car through an open window. Then there is the very obvious smell that cigarettes leave behind. Even if you clean out your car’s ashtray on a daily basis, the smoke penetrates every corner and crevice. Just think about the way your clothes and hands smell after you smoke. Even if you wash your hands or try to mask the smell with a strong perfume, that stale cigarette smell will always come through. The smell is exacerbated when you lock your car up for the day or at night. Especially if you smoke just before locking up! The last bit of smoke and smell gets trapped inside the car and can really penetrate the fabric. All three of these issues affect the value of your vehicle. Just as people look for tenants or roommates who do not smoke, so too do they look for cars that do not have that old cigarette smell. 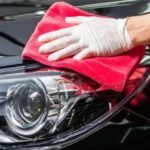 When trying to sell your vehicle, you should pay close attention to the exterior, interior, and the way your car smells. A prospective buyer could be put off the deal or try to knock your price down significantly if there is an unpleasant smell. Fortunately, at Wash Me Now, we can put our expertise to good use and get rid of that smell! We also offer deep cleaning services for the interior as well as the exterior. 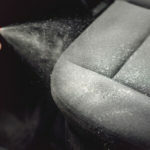 Regular cleaning can help minimise the discolouration of your upholstery, and this will help your vehicle maintain a higher value. Call us today at (647) 607-5199 to schedule your appointment and, remember, we come to you!